Well, there you have it, folks. We have a lot of ground to cover in the next 48 hours and there is a lot to talk about from Google’s Hardware Launch here in NYC. 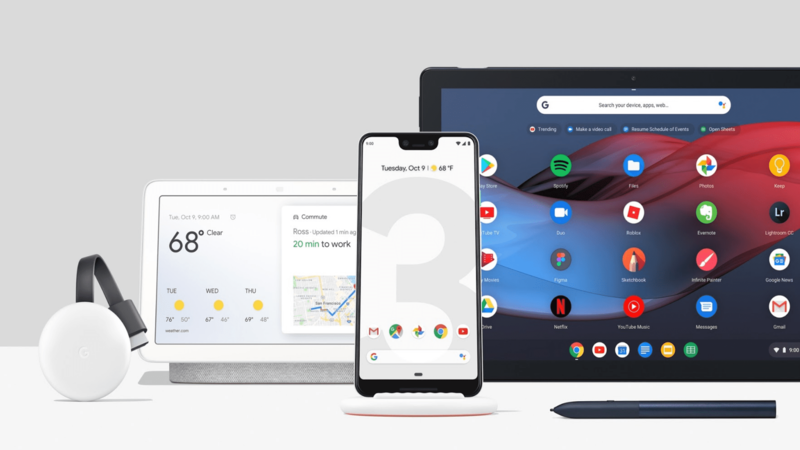 Before we dig in, I’m sure there are many who are ready to get their hands on some new #MadebyGoogle products so here’s what’s available and where you can get it. Let’s start with what you CAN purchase because that list is very short. The subtle refresh to Google’s inexpensive streamer didn’t get any stage time but there were plenty of the Chromecast version threes floating around the event. Priced at $35 like its predecessor, the new Chromecast is available today and has replaced the second gen dongle in the Google Store. Here’s what we know about the Chromecast refresh. Apart from the brushed exterior with the Google logo, the Chromecast 3 loses the magnet in the HDMI connector found on the last generation. You get your pick of Chalk or Charcoal. The new version does update the output to full 1080P @ 60fps which is up from 30fps on the gen 2. You’ll also get multi-room audio support allowing you to which will allow you to sync it with other audio groups around your house. The Chromecast 3 is definitely the device that was spotted in FCC filings but as The Verge points out, there isn’t any sign on the packaging or specs of the rumored Bluetooth support. However, we got our hands on one and after hooking it up, my phone does see it when searching for Bluetooth devices. It will even let me attempt pair with it. It is likely that Google will push an update to activate the Chromecast’s Bluetooth capabilities but they said nothing about it at the event. You can grab one at the Google Store today. Moving on to the item we came here for in the first place. No release date was given for Google’s new detachable and honestly, I can’t even squander an educated guess as to when the device will be available. “Later this year” is all that was said and currently, at the Google Store, you can join the waitlist to be notified when the Pixel Slate, Slate Keyboard and Midnight Blue Pixelbook Pen is available for purchase. It’s a touch outside of our wheelhouse but the new Pixel Stand essentially turns the Pixel 3 phones into a Google Home which is kind of cool. The Stand along with the Pixel 3 and 3XL are all on pre-order from the Google Store today and will start shipping on October 22. Google also quietly rolled out the expected USB-C Pixel Buds. The new headphones come with all the Google-y features you’d expect but what is refreshing is the surprisingly low price. Thirty dollars will grab you a set of USB-C headphones that work with real-time translation on the Pixel Phone and can even be used for standard audio on other devices with a USB-C port. I will definitely be grabbing a set of these. The USB-C Pixel Buds are available today from the Google Store. We have a lot more to come from New York City. Stay tuned for all the details on what’s new from the #MadeByGoogle lineup.